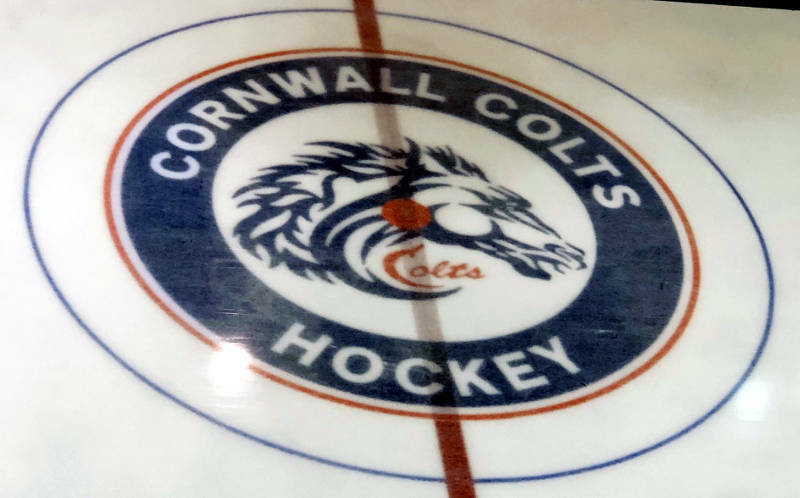 CORNWALL – Three people were taken to hospital by ambulance after a spectacular single vehicle crash on Brookdale Avenue early Friday afternoon. 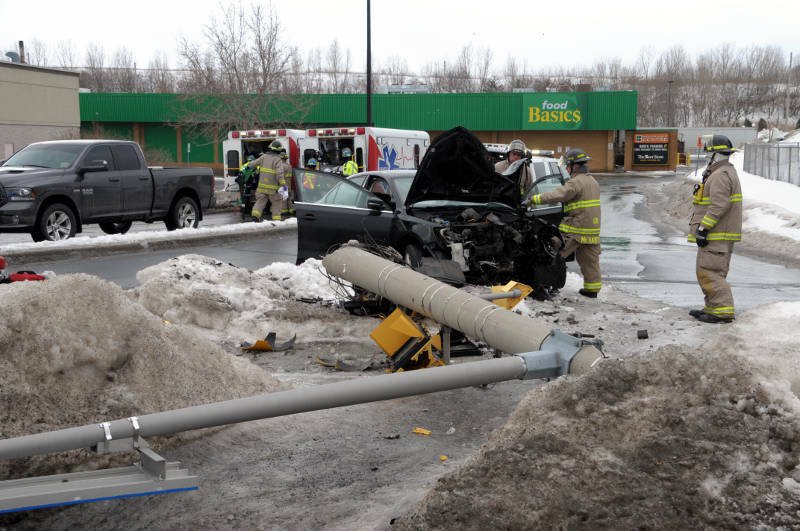 Witnesses say a black Volkswagen Jetta was southbound when it suddenly became airborne and struck the base of a traffic light standard, cracking it at the base. The pole then fell into the intersection while the car ended up on the northwest corner of Brookdale Avenue and Ninth Street. One woman described the crash as a “tornado” of the spinning car and the massive amount of debris spread several meters across the intersection. There were four people in the car – all described as four young men – who witnesses say were hurt badly. One passenger was crumbled behind a seat while another appeared to have major injuries from the seatbelt, a witness said. The driver was also trapped behind the wheel where the airbags had gone off. 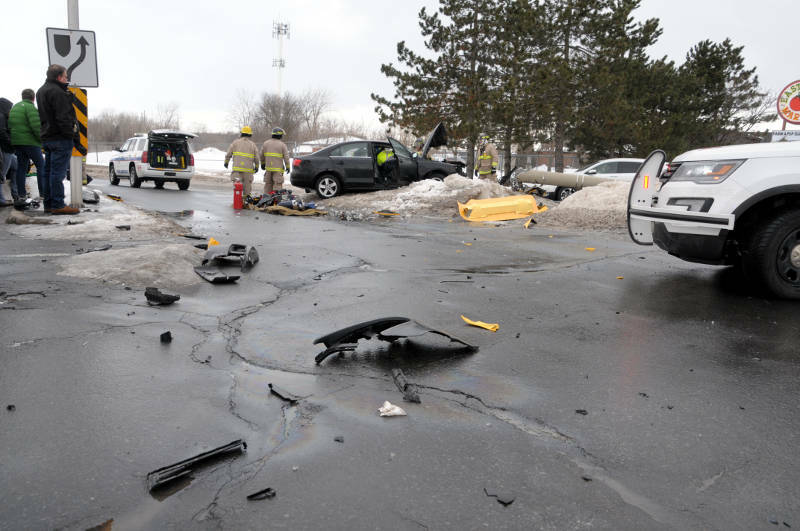 Three were removed from the car by Cornwall-SDG Paramedic Services and Cornwall firefighters. The intersection at Brookdale Avenue and Ninth Street was closed to allow Black & McDonald to come in and clean up the traffic light. The area was reopened to traffic just before 4 p.m.